The Auroris Dance Company is conducting a dance clinic for K – 8th graders (if your child has danced in the past and is not yet in kindergarten, they can participate as long as you stay with them). We will be teaching a jazz dance and hip-hop routine at the clinic. Your child can decide what type of dancing they would prefer to do. 8th graders will receive a t-shirt to wear during auditions in fall. that you can move in and athletic or dance shoes. For all you twitter fans – retweet the video pinned to Benevity’s profile, for a $10 donation to @NilesNorthFAPP for every retweet. Mention us in your retweet and thanks! Did you know your purchases can make a difference? 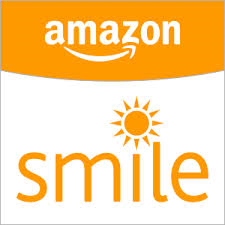 AmazonSmile donates to Niles North Fine Arts Parents and Patrons Ltd when you do your holiday shopping at smile.amazon.com/ch/39-4435155. tick, tick…BOOM! By Jonathan Larson • Directed by Timothy Ortmann Thu., Aug. 16, 2018 • 10 am (free community performance) Fri. & Sat., Aug. 17 & 18 • 4 & 7 pm – $10 Drama Performance Center A week before turning 30, the aspiring playwright has an existential crisis: should he continue to live the life of a starving artist or become a “sell-out” and settle down? Will his career finally take o or will he have to choose a di erent life to lead? Come celebrate Jon’s birthday and find out! The Matchmaker – By Thornton Wilder • Directed by Timothy Ortmann Thu., Oct. 4, 2018, • 10 am (free community performance) Fri. & Sat., Oct. 5 & 6 • 7 pm – $10 Auditorium Adventure, mistaken identity, and of course, finding the perfect “match” collide in Thornton Wilder’s fast-paced uproarious farce. A wealthy shop owner, his employees, and a meddling match- maker shed their humdrum lives for a weekend of adventure and romance in New York. Who will truly find their “match”? The Matchmaker opened on Broadway in 1955 and later was turned into the musical Hello, Dolly!, which opened in 1964. Thornton Wilder is a two-time Pulitzer Prize winning playwright. that’s my story! Developed by Niles North students Directed by Annaliisa Ahlman Fri., Dec. 7, 2018 • 4 & 7 pm -$5 Drama Performance Center Stories written by child authors will be developed by Niles North students into mini-plays. We then go to the young authors’ schools and present that’s my story!, an imaginative staging of their tales. You Across from Me – By Reflections • Directed by Timothy Ortmann Wed., Feb. 6, 2019 • 4 & 7 pm Thur., Feb. 7, 10 am (free community/school performance) Fri., Feb. 8, 4 pm – $5 Drama Performance Center The Play Production class is showcased in this set of one-acts exploring what it means to sit across from someone and truly communicate. This unique collection of contemporary short plays explores themes of equity, diversity, and making connections… but who gets a seat at the table? Chicago – Book by Fred Ebb & Bob Fosse • Directed by Timothy Ortmann Thur., Mar. 14, 2019 • 10 am (free community performance) Fri., Mar. 15 • 7 pm Sat., Mar. 16 • 2 & 7 pm – $10 Auditorium Locked up for murder, vaudeville sensation Velma Kelly and her wannabe rival, Roxie Hart, compete for the stardom that might set them free from prison. These dueling leading ladies command their lawyers, lovers, and the other inmates at the Cook County Jail through jazz and all-out showstoppers in the Broadway classic, Chicago. Come “paint the town” with us and find out what “all that jazz” is really about! Chicago won multiple Tony Awards including the award for the best revival of a musical. Clybourne Park – By Bruce Norris • Directed by Tyrone Phillips Thu., May 2, 2019 • 10 am (free community performance) Fri. & Sat., May 3 & 4 • 4 & 7 pm – $10 Drama Performance Center Set in a modest Chicago home in Clybourne Park, residents find that the neighborhood “is changing” in both 1959 and 2009. Act 1 and Act 2 follow di erent families living in the same home as they navigate the shifting tides. Bruce Norris’s biting commentary picks up where Lorraine Hansberry’s A Raisin in the Sun left o . The story delves into themes of race, gentrifica- tion, politics, and family. Clybourne Park won both the Pulitzer Prize and Tony Award for Best Play in 2010. Order tickets on a show by show basis at http://www.seatyourself.biz/nntheatre or become a subscriber. Money for private lessons, master classes, creative workshops/seminars, art classes, dance classes, ensembles and more. See your Niles North fine arts teacher or Marie Walton, Fine Arts Administrative Assistant, Room 1527, to pick up an application or download an application using the link below. Looking for something to do this Friday night, December 8th? Come out to Niles North to hear the Percussion Ensemble and the Jazz Ensemble perform. The concert starts at 7:30 and is FREE! You will be amazed at the performances from our talented students.